*Updated project video at the end of the post! 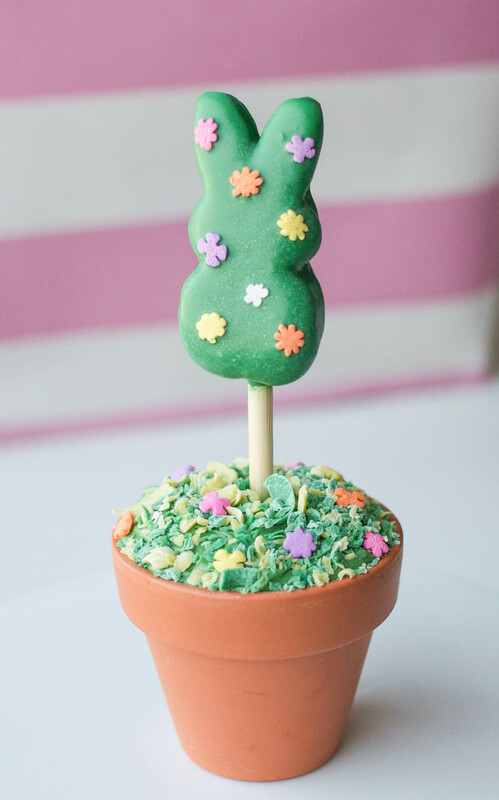 Peep it classy at your Easter brunch with Peeps topiary cupcakes! This is a terrific project to make with kids. 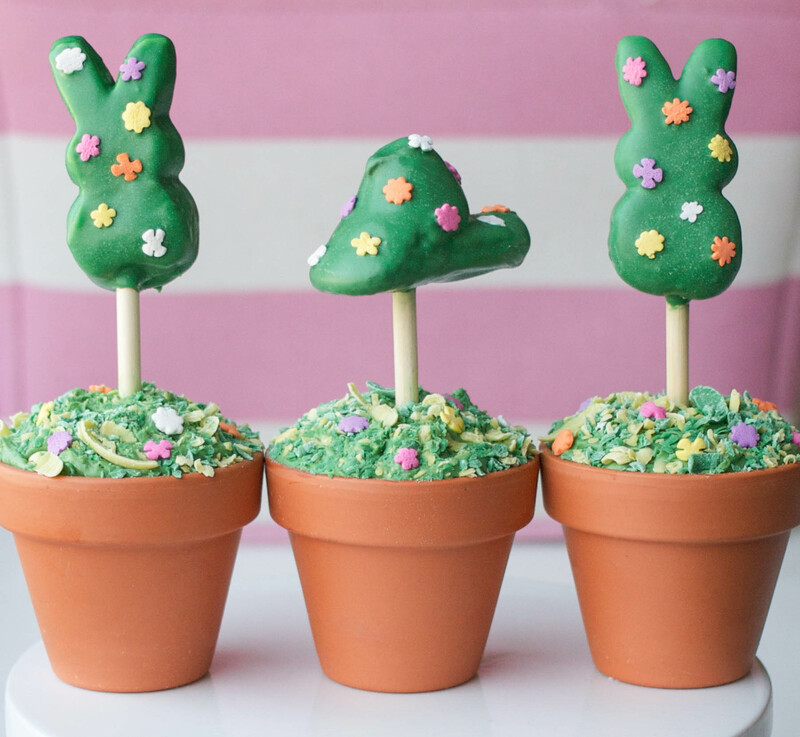 Mine loved stuffing the cupcakes into the tiny terra cotta pots and dropping flower sprinkles onto the dipped peeps. Most of the supplies can be found at the craft store, with the possible exception of the candied apple sticks. Those you can definitely find online (affiliate links in supply list) or possibly at a kitchen supply store. If you can’t find candied apple sticks near you, try cutting down a skewer or even a wooden coffee stirrer. I absolutely love how these turned out! 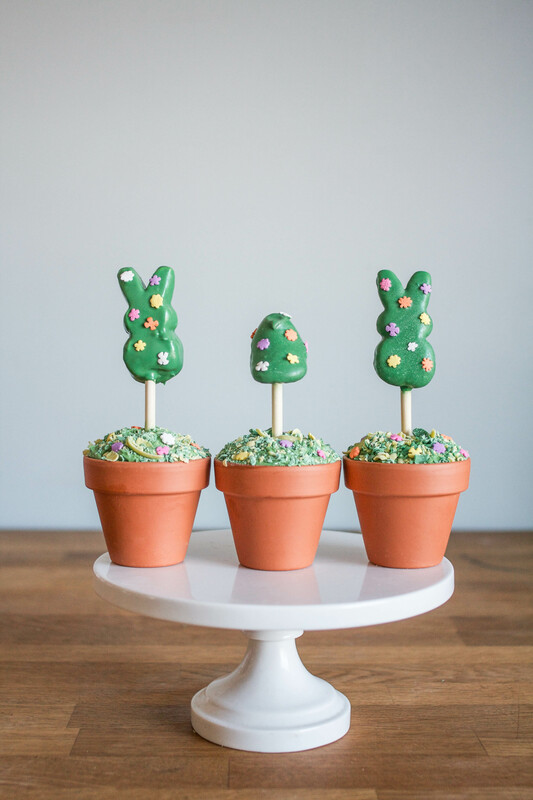 Now that Peeps are available year-round, you can bet this will be making a comeback with tiny marshmallow trees come Christmas time. Insert the pointed end of a candied apple stick into a peep. 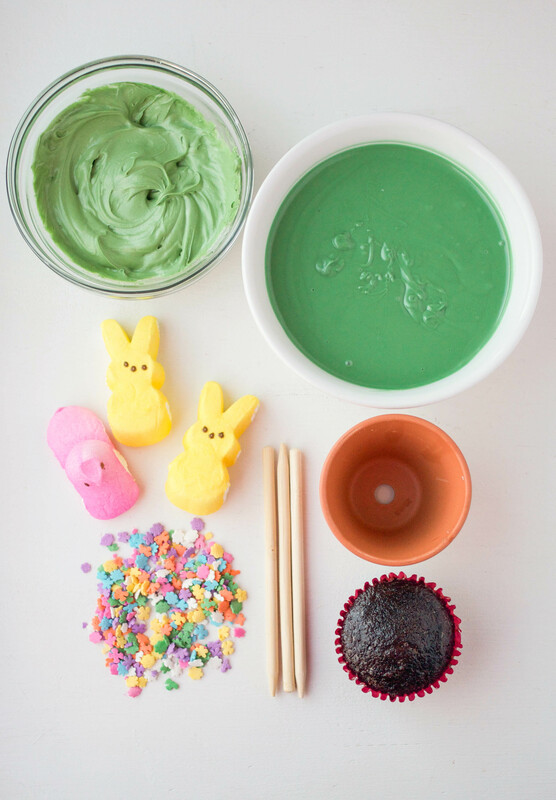 Dip the peep in the melted green candy. I found it easiest to dip a flat side, tap off the excess, then flip the peep and dip the other flat side. 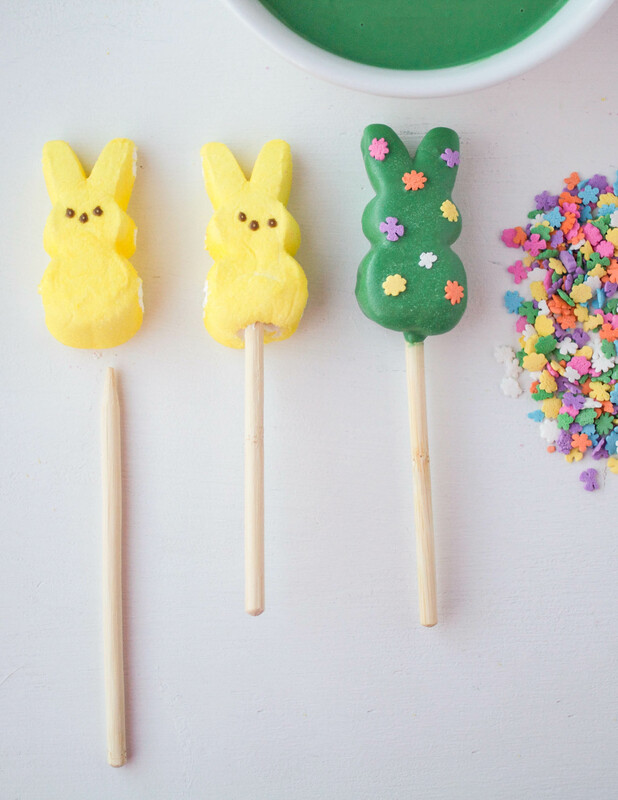 Drop on flower sprinkles while the peep is still wet. The flat bunny peeps can be laid on a piece of parchment paper to dry. Regular peeps will need to be propped up in a glass or on a piece of foam. 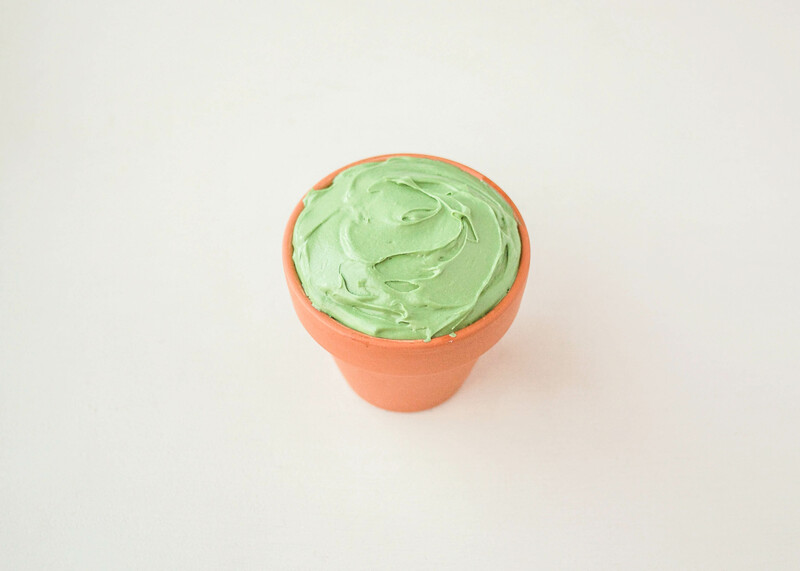 Place one of your unfrosted cupcakes into a small terra cotta pot. 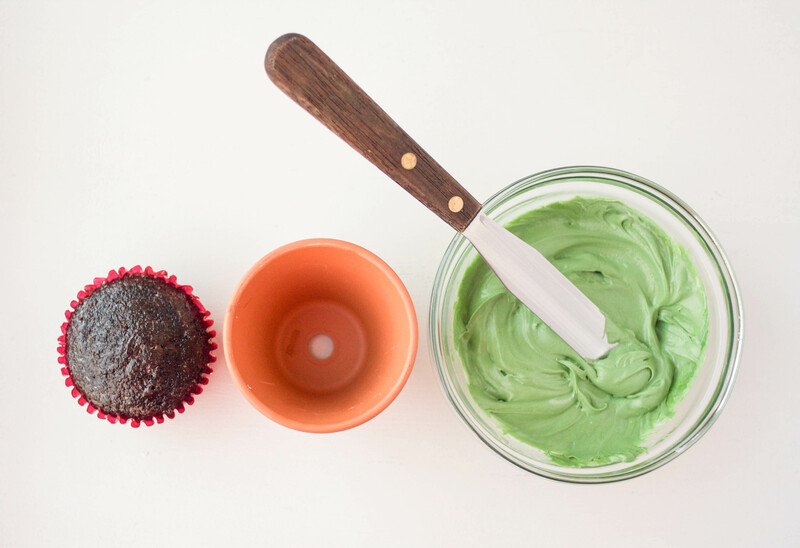 Ice the cupcake with frosting that’s been tinted green. 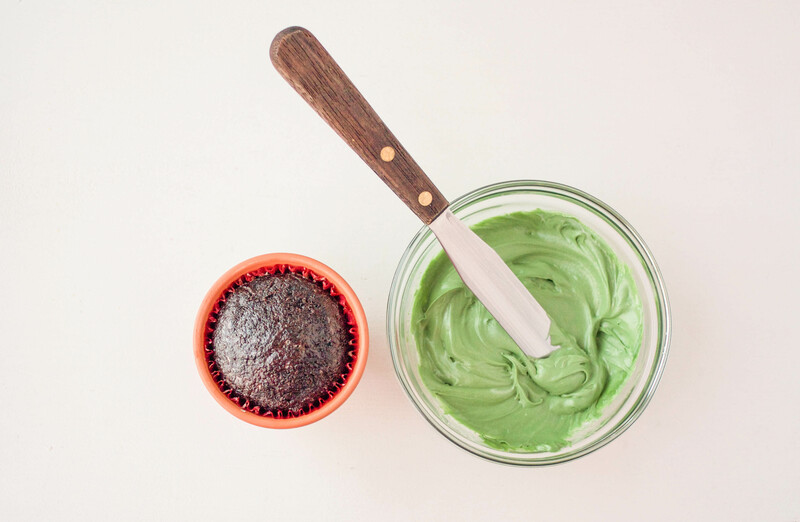 Make sure to cover the cupcake to the edges of the pot. Stick a peep pop into the center of the cupcake. 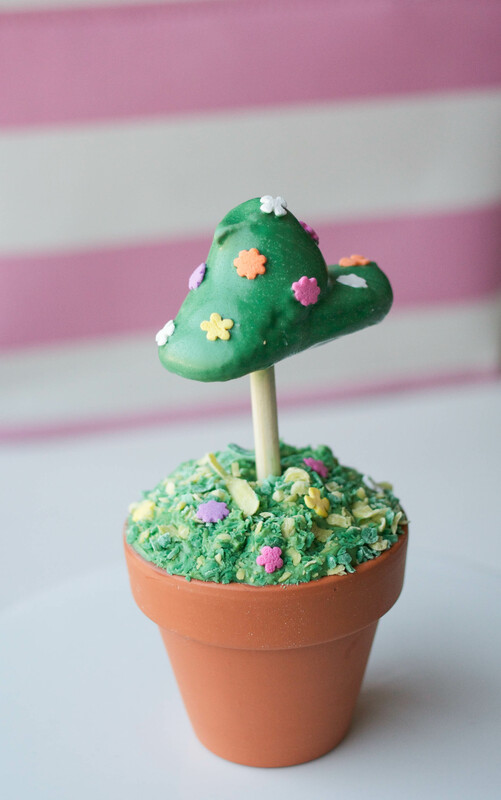 Leave the cupcake plain, or decorate it with shredded candy melt grass (how-to here) and flower sprinkles. So awesome, Erin! LOVE THIS!! !